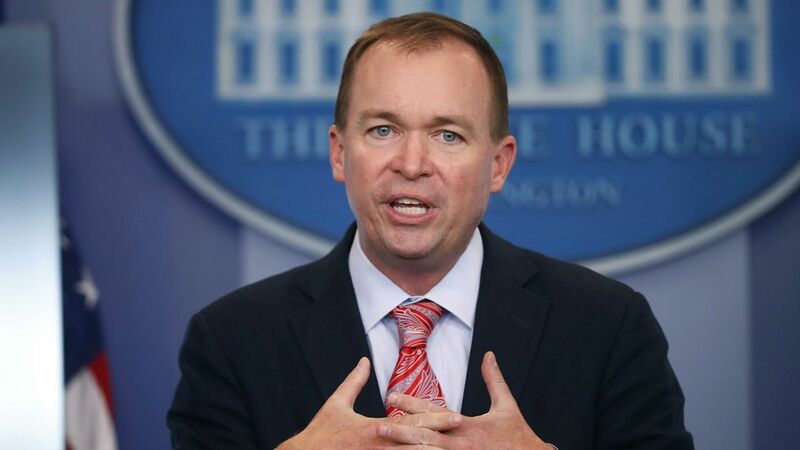 President Trump's budget director, Mick Mulvaney, told reporters Thursday that the administration is on board with supporting the "cleanest possible" debt ceiling increase, and will no longer seek spending cuts, per CBS News. Mulvaney had previously pressed for the cuts as part of the deal, but he ultimately agreed with Treasury Secretary Steven Mnuchin on a clean hike. Why it matters: The move could put the White House at odds with its party, as members of the Tea Party and House Freedom Caucus have been publicly advocating for the cuts. The Senate is expected to break for August recess on Thursday, and the House left for the month-long break last Friday. Meanwhile, the debt ceiling hike needs to be passed by the end of the 2017 fiscal year, or Sept. 30, to avoid a government shutdown.